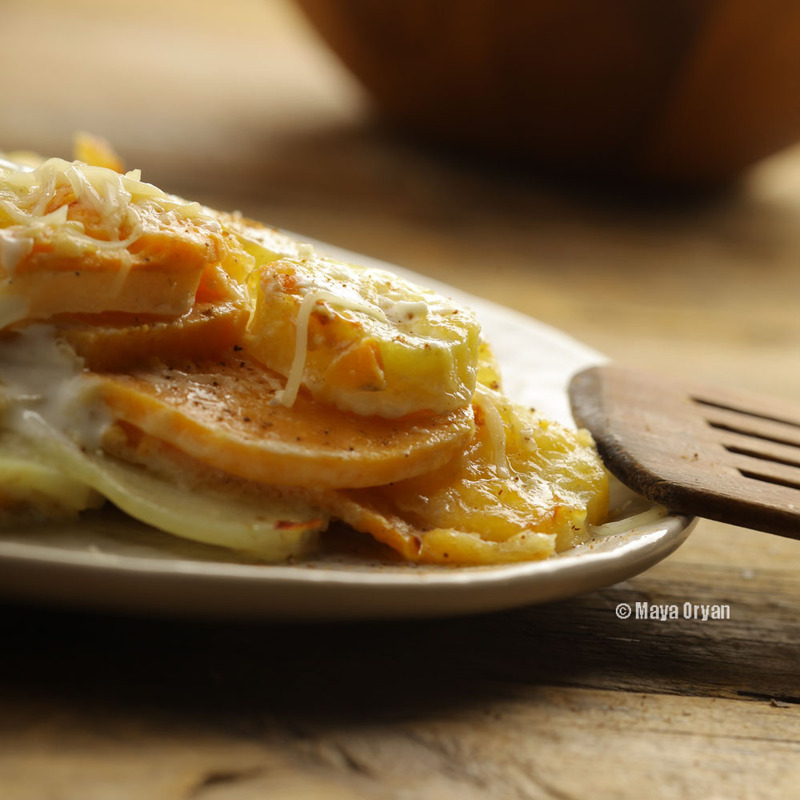 This entry was posted in Main Course, Vegetarian and tagged cream, Food Stylist, gruyere, lebanese blog, Maya Oryan, MayasIngredients, nutmeg, potato gratin, Roosevelt, sweet potatoes, Thanksgiving, vegetarian, Yukon by Maya Oryan. Bookmark the permalink. Looks delicious Maya… more veg, more cheese… hmm that’s a great option!